A second floor sans elevator, a place that needs some renovation, but terrific food. 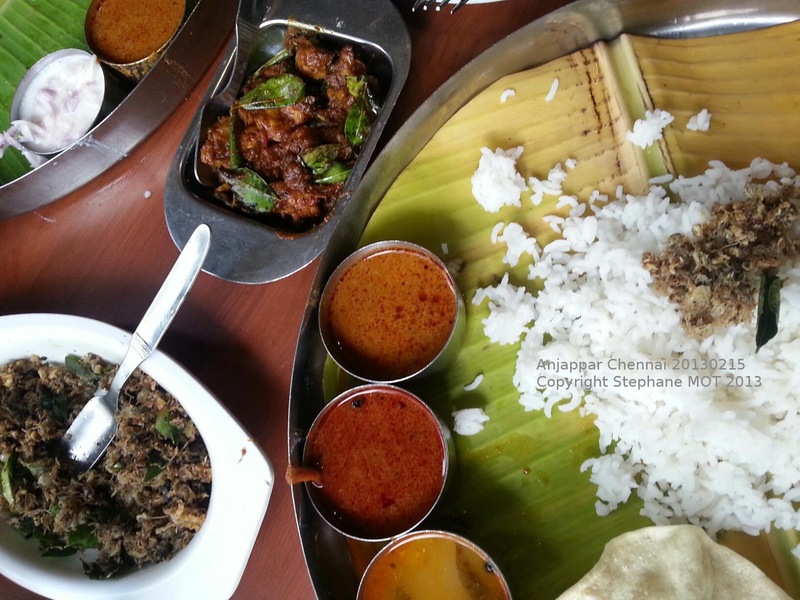 The spice odyssey features great chettinad specialities, spicy soft shell crab and prawns, and a mean chicken biryani. 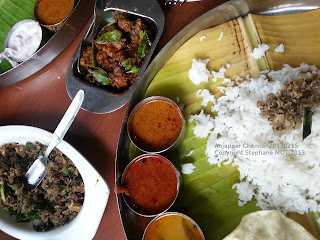 You can use your fingers or ask for cuttlery, and order a "meal" as a base: small sauce dips positioned on a leaf covers a big round metal plate, and as many white rice refills as you want. This French colonial hotel built in the late 1760s has very delicate proportions and a unique atmosphere. Under the fan and overlooking the cute patio, you'll discover a stimulating menu with a French and Creole twist. Just enjoy the moment and take your time - the staff in the kitchen are definitely taking theirs as well.